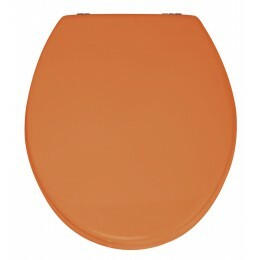 A very nice orange toilet seat from Wenko that is made of medium-density fiberboard (MDF) . 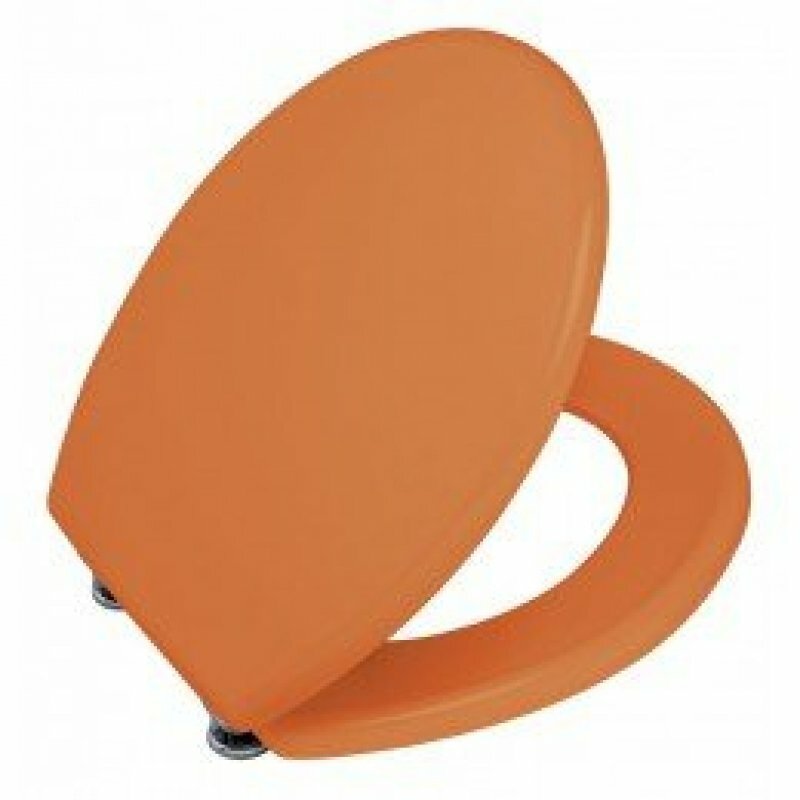 The seat has heavy chrome plated adjustable fitting hinges and the surface is moisture resistant. 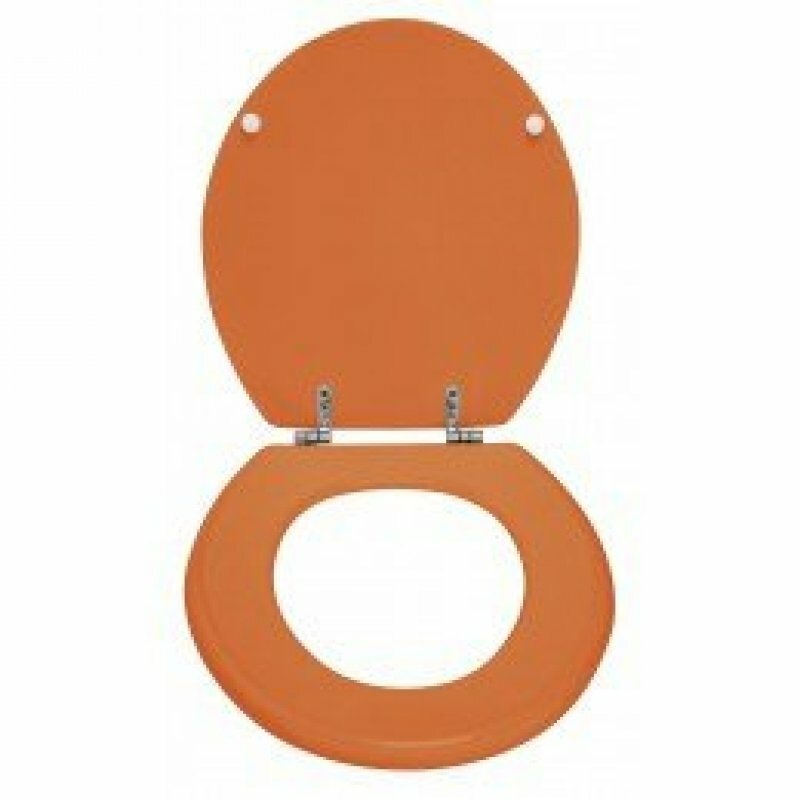 Match this seat with some orange towels and you will get a new bathroom!